During a year in which Essex-based Thompson Smith and Puxon (TSP) has continued to grow, the Legal 500 has recognised and confirmed the firm’s on-going commitment to client service and effective communication as part of its continued recommendations in nine practice areas. 21 TSP lawyers are individually recommended; of these two are noted as Leading Individuals in their practice area and six are highlighted as Next Generation Lawyers. 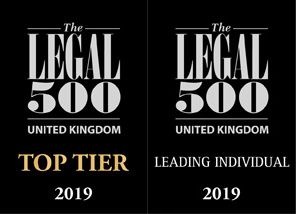 TSP’s Corporate and Commercial team, highlighted for its ‘exemplary service’, is amongst the top three in Colchester for this practice area and team leader Mary Anne Fedeyko, who ‘explains proceedings clearly’, is singled out as a Leading Individual in its guide to outstanding lawyers nationwide. Colleagues Claire Powell, Nick Mayles and the ‘calm unflustered and committed’ Caroline Nicholls are also recommended and Caroline is singled out as a Next Generation Lawyer. The firm’s Employment practice, which is once again rated in the Top Tier in Essex, impresses, according to the Legal 500, with its ‘realistic advice, an understanding of clients’ needs, and communication that is delivered to a high standard.’ Team leader Richard Porter, who ‘listens carefully’, is a Leading Individual in this practice area and colleague Sam Welham is also recommended. The ‘vastly knowledgeable’ Stephen Firmin and Kerry Addison, who is noted for her ability to handle matters with ‘utmost tact and diplomacy’, are both Fellows of the Agricultural Law Association. They are recommended, not only for their ‘excellent knowledge of all matters relating to agriculture and estates’ but also for their ‘good judgement’ and ‘pragmatism’ during Commercial Property negotiations. 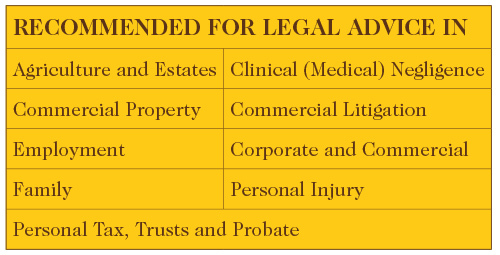 Commercial property colleague Mark Rowlands is also recommended. The firm’s Commercial Litigation department, led by the ‘exceptional’ Sharon Auton, provides, according to the Legal 500, a ‘timely service’, ‘making clients feel valued’. Associate Judith Winward takes a ‘proactive approach to conflict resolution’. As well as the excellent results for the business services team, TSP is also recommended for its services for private clients, where excellence in service delivery and client communication are also highlighted. 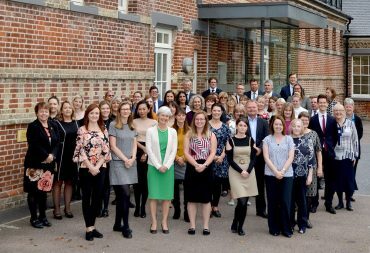 TSP’s Wills and Estates team, rated in the top two in Colchester, is noted for its willingness to ‘go the extra mile’ in order to ‘provide a comprehensive and timely service’. Fiona Ashworth, who leads the team, has a ‘wealth of experience’ and is the main contact for elderly and farming clients. The ‘friendly and persevering’ Robert Ashworth and ‘conscientious, sympathetic and efficient’ Aileen Hirst joined Clacton-based Sarah White as Next Generation Lawyers. The ‘exceptionally professional and caring’ Adina Milleare who is also based in Clacton is also recommended. The Clinical Negligence team is recommended as amongst the best in the South East of England and is rated as one of the top three firms in Essex. Department lead and brain injury partner is Steve Webb, whose ‘strength is listening to clients and giving them time to understand’. The team is praised for its prompt response times and for keeping clients informed throughout the process. Associate Solicitor Clare Sheeran is noted as a Next Generation Lawyer and the ‘excellent and professional’ Sam Welham is recommended. 21 of the firm’s lawyers are recommended by the Legal 500; 2 are singled out as Leading Individuals and 6 have been singled out as Next Generation Lawyers. What is the Legal 500? Primarily a reference tool for buyers of legal services, the Legal 500 has developed over the past 25 years into the largest and most in depth survey of the UK legal market, with researchers analysing the practices of more than 1,000 law firms across the UK. Understanding the firms themselves is only one part of the research undertaken by the Legal 500 teams. Ultimately it is client opinion that matters. Firms submit details of client referees to the researchers and these are taken up and form a vital component of a firm’s evaluation. Contact us: Thompson Smith and Puxon has offices in Colchester and Clacton. The teams can be contacted on 01206 574431 or by email at info@tsplegal.com.